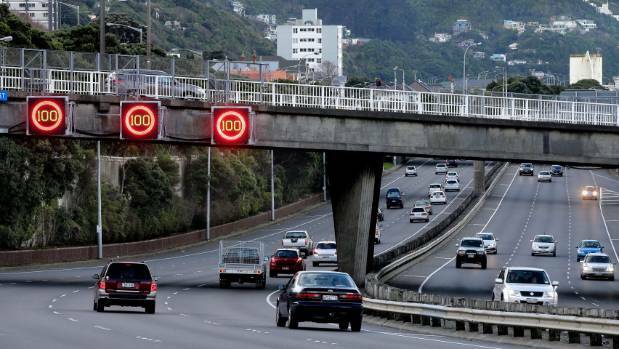 The New Zealand Transport Agency says drivers are not sticking to the speed limit on Wellington’s smart motorway, on State Highway 1 from The Terrace to Johnsonville. 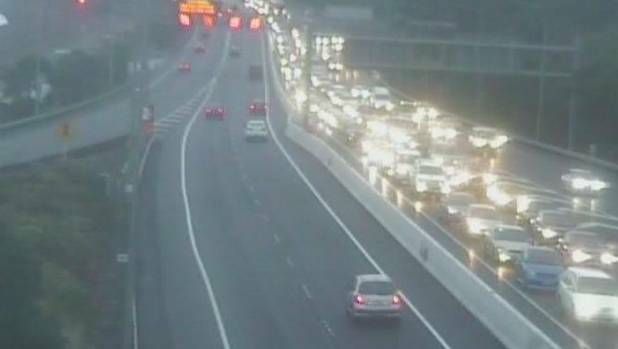 Wellington’s smart motorway is being let down by dumb motorists, whose speeding and poor merging habits are stifling the effectiveness of the $55 million project. 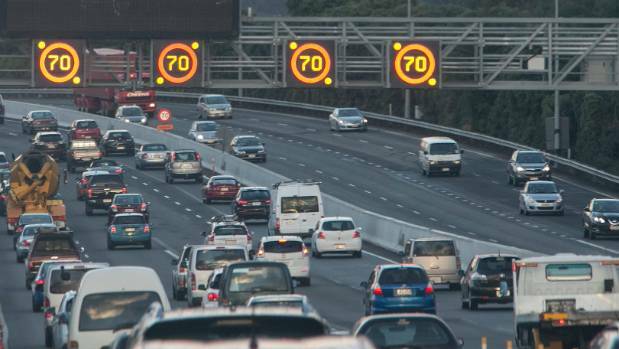 New Zealand Transport Agency data shows peak commute times on the motorway – a section of State Highway 1 between Johnsonville and the Terrace Tunnel – have improved only slightly since it was opened in July last year, while the northbound evening journey has become longer. The motorway is the first of its kind in New Zealand, and features a computerised system which sets optimal speed limits based on predicted changes in traffic flows. 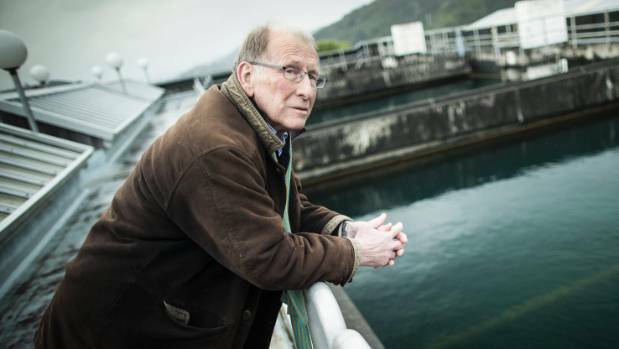 But NZTA highways manager Neil Walker says poor driving habits are restricting the motorway’s benefits, especially at the merge point with State Highway 2 at the bottom of the Ngauranga Gorge. “There’s a lot of driver behaviour which could make a difference,” he said. In addition, while drivers were slowing down when they saw reduced speed limits, they were still consistently travelling about 10kmh over them, Walker said. Speed cameras were not adjustable to the fluctuating speed limits, but that would be considered if the technology became available. 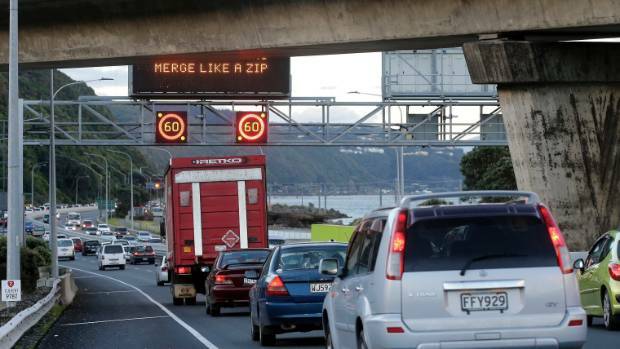 The average peak weekday journey time from the Ngauranga Gorge to Hobson St had improved by about 30 seconds each in both directions from July to April, compared with the previous 12 months. The southbound morning journey was down from seven minutes to six-and-a-half minutes, and the northbound evening journey was down from six minutes to five-and-a-half minutes. However, while the journey from Petone (at the Seaview Recycle and Transfer Station) to Hobson St was about 30 seconds faster during the morning weekday peak, the evening journey north was about two minutes longer. 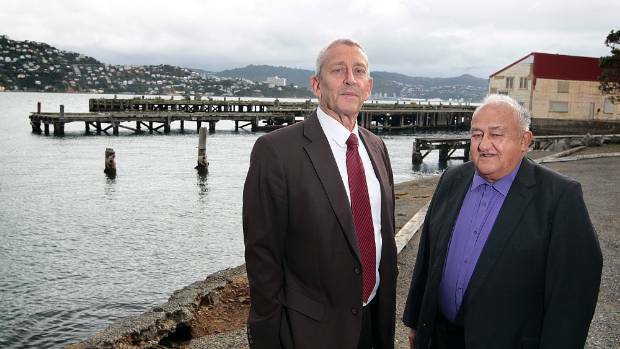 That was because improved traffic flows along State Highway 1 were putting pressure on the merge point with State Highway 2, which went to Petone. However, Walker admitted the merge point could operate better, and the agency was considering options to improve it. 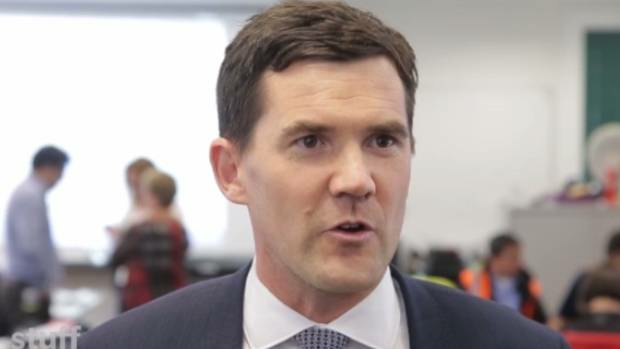 Walker reiterated the motorway development was not intended to cut travel times, but to improve journey reliability and safety for the 100,000 vehicles which travelled on the road on an average weekday. Automobile Association road safety spokesman Dylan Thomsen said the motorway had several advantages and shortened travel times were encouraging. “It may not look like that much but, obviously, when you multiply that over tens of thousands of vehicles, it adds up to some big numbers. 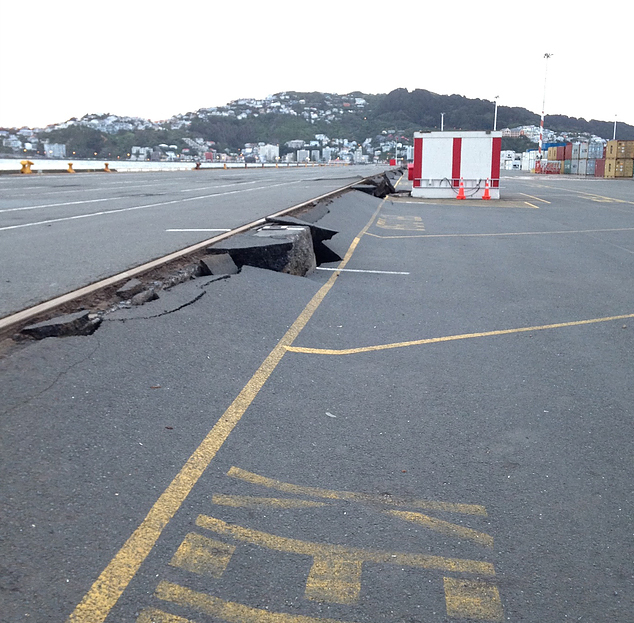 The standstill at the Terrace Tunnel during peak times was a specific area that needed to be addressed, Thomsen said. 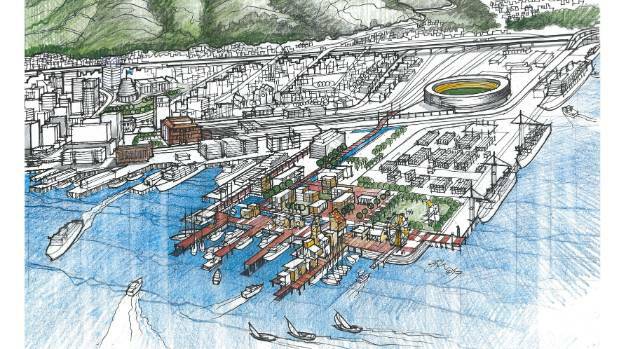 Green Party transport spokeswoman Julie-Anne Genter was not convinced about the project’s benefits, saying the money should have been used to improve public transport. “The more you improve public transport, the less pressure there is on state highways. 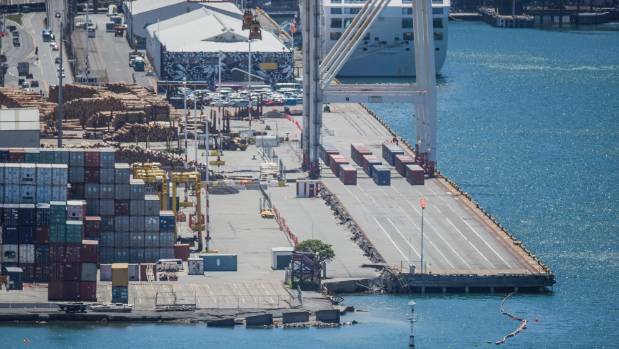 The investment in roading had not improved travel times in Wellington, and a dedicated bus lane or rail line could transport between 10 and 20 times more people an hour during peak time than an extra motorway lane, she said.